Let’s break down four creative ways you can help pay for your education and reduce your student debt. There’s no doubt that a college degree is expensive. Average annual tuition ranges from $9,716 to attend an in-state public college to $35,676 for a private college. Over four years, that puts costs at $38,864 to $142,704. Additionally, there are living expenses, textbook costs, and other fees that add up quickly. These steep prices have prompted student loans to become commonplace, and 63 percent of those aged 18 to 29 have taken on student debt to fund their undergraduate degree. Of course, the ripple effect of this debt can have a lasting effect for graduates. In addition to the financial pressure, student debt causes 26 percent to postpone buying a home, 12 percent to postpone starting a business, and 40 percent to postpone additional schooling. In response to the mounting problem of student debt, OneClass has developed a blueprint for how to hack college debt and avoid years of financial problems. Learn four ways that students can earn money while they’re in college. Many college students already have busy schedules, so the easiest way to earn extra money is to find opportunities that pay them for things they’re already doing. One of the most popular 4 ways to earn extra money toward college tuition is to become a paid student note-taker. On the note-sharing platform OneClass, students are earning money for simply uploading their class notes and study guides. Essentially, this means that student note-takers are being paid to attend class. 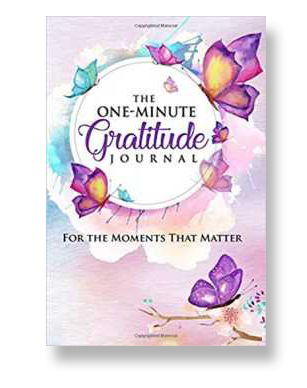 Some note-takers who share high-quality materials can earn Elite Note Taker status, which pays three times as much as standard note-takers. One student note-taker who was profiled in Reader’s Digest earned $1,500 in one year! However, note-taking isn’t your only option for earning money for things you’re already doing. Another example is the health and fitness app, Achievement, which pays you for tracking steps, sleep, and meals. Student gamers also turn to apps such as Twitch to be paid to play video games. As a college student, your schedule can swing widely between exam week, regular classes, and break. The gig economy is a great solution to earn extra money when you have the time, and then focus on studying when you’re in the crunch before exams. Typical gigs include driving for Uber or delivering food for Postmates. However, many college students also get into online retail by selling last year’s clothes, crafts, used textbooks, and other items. There are plenty of marketplaces to consider, including eBay, Poshmark, and Etsy. Another flexible side gig is to become an online tutor. Apps such as Solvit pay $20 per hour and connect you to more than a million students. It’s as easy way to work as much as you want, when you want, and from anywhere in the world. This third option for earning extra money has the potential to be the most lucrative, but students should expect higher time commitments and less schedule flexibility. About 43 percent of full-time college students are also employed. Many students take local jobs such as working at a restaurant or bar. Others accept work-study jobs at their college, which provide average earnings of $2,353 per year. Students are also taking advantage of apps that advertise freelance contract opportunities. For example, Fiverr, Amazon’s MTurk, and TaskRabbit all provide income opportunities for students. Whether you’re working part time or full time, choosing the right employer can help you earn additional money for school by providing tuition reimbursement in addition to your salary. For example, Starbucks has a popular program that provides 100 percent of the tuition for a degree at Arizona State University. Many chains offer tuition reimbursement programs, including Chipotle, Verizon, Best Buy, and Target. That is why we highly recommend this as one of the 4 ways to earn extra money toward college tuition. Keep in mind that programs may have different requirements. Some may require that you work a certain number of hours; others may require that you’ve been an employee for a length of time before the benefits kick in. There are even programs that base your tuition reimbursement percentage on your grades, with better-performing students earning more toward their degree. When money for college is on the line, studying can become even more important. Jack Tai is the CEO and Co-founder of OneClass. 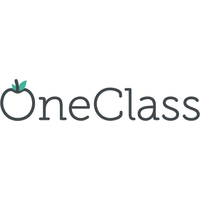 Find out how OneClass is helping students get better grades and earn money for college. 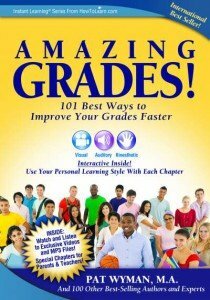 Click image for more on how to improve your grades faster!